The latest edition of the critically acclaimed Small Animal Endoscopy presents informative, practical, and up-to-date guidance on endoscopic indications, instrumentation, patient preparation, and techniques. 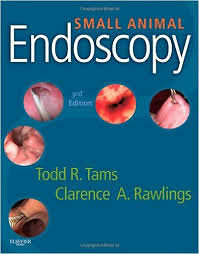 Todd R. Tams and Clarence A. Rawlings, the foremost experts in veterinary endoscopy, provide the novice as well as the advanced practitioner with the information needed to deliver the safest, high-quality endoscopic services for small animals, including avian and exotics. Chapters are organized consistently and lavishly illustrated to help you easily find and understand key concepts and procedures. This edition includes a companion website with expert demonstrations of techniques and examples of patient discharge instructions for veterinarians to give to clients.